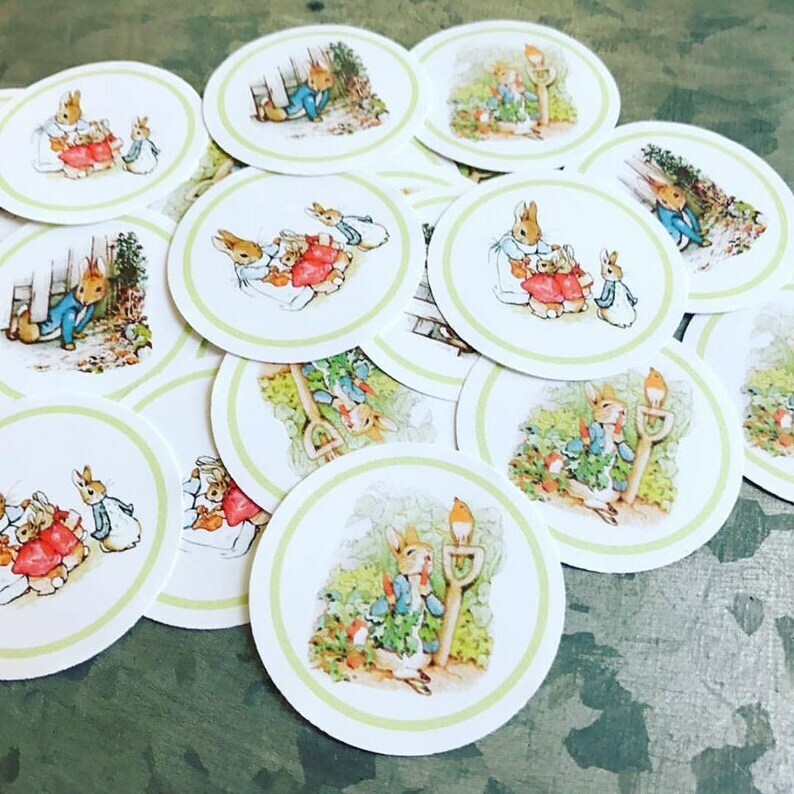 This listing is for 15 Beatrix Potter Peter Rabbit Sticker Labels. Need more let me know. I can set up a custom listing. Back is sticky. You peel the label off the backing from the score line. I love to customize! Send me a message for any special requests or to set up a custom order.